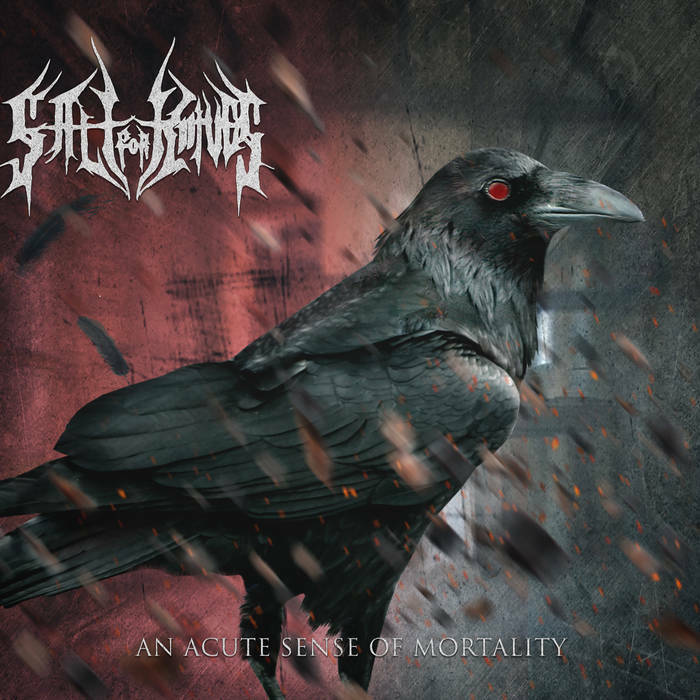 Comprised of rhythm guitarist/vocalist Frank Green (Grinkai), along with Gareth Niles (Rome Incarnate) on lead guitar and bass, Salt For Knives are a Colorado based death metal outfit. Their new record release, An Acute Sense Of Mortality, is a follow up to their debut album, Conglomerate of Misery. This bass-heavy album has a slow-burning, sludgy groove. An Acute Sense of Mortality is a bloody slab of dissonant death metal, served raw with a side of grind. Throughout the album, intricate melodic riffs serpentine their way through the chugging bass lines. The opening track, A Collection of Obscure Sorrows, hits the ground running with an ear-ripping shred-fest of a guitar solo. The riff is so fast and technical that even veteran headbangers could get whiplash. Perfectly Broken, the second track, is a bloodthirsty beast of a song. The death metal vocals are monstrous, augmenting the crushing brutality of the blast beats in both drums and guitar. This is followed by the penultimate single, Indiscriminate Ruin, another ferocious masterpiece. The rhythmic groove of the bass bulldozes through this song like a savage. Finally, the record ends with a bang, concluded by the crushing weight of Death to the Masses. This vicious track converges brutal death metal and grind into one unholy union, a fitting song to bring this intense album to a close. This new album is a high quality example of technical prowess and musical virtuosity. If it has any faults, it’s simply that it’s not long enough. I want more! This breaks new ground and opens up new possibilities for Salt For Knives. I am anxious to hear more like this in the future. Meanwhile, I’m going to violate the replay button. Four stars out of five! I will definitely check it out! Sounds cool!